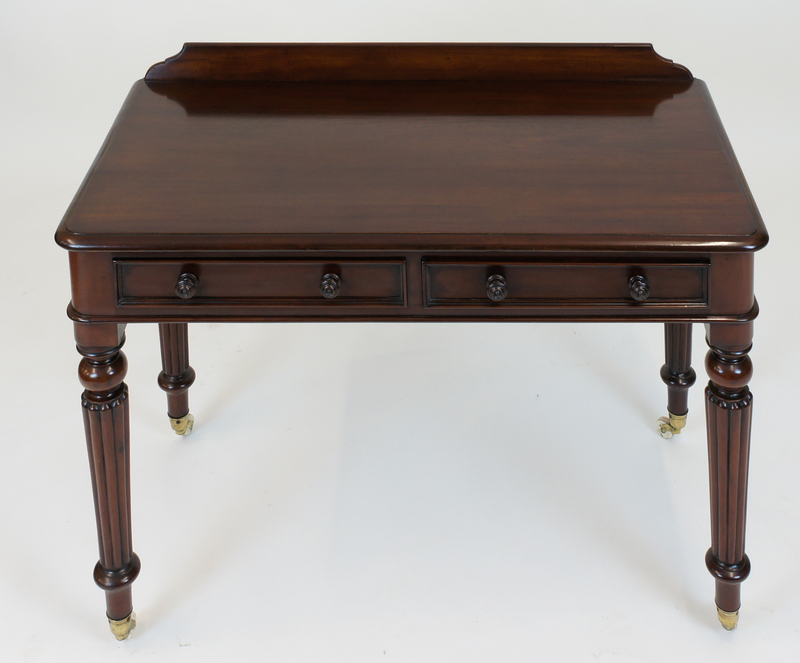 This is a very good quality, early Victorian, antique mahogany writing table or side table with a beautifully figured top. The top has rounded corners at the front and sides and a bull-nose moulded edge. The back has a low rise edge. 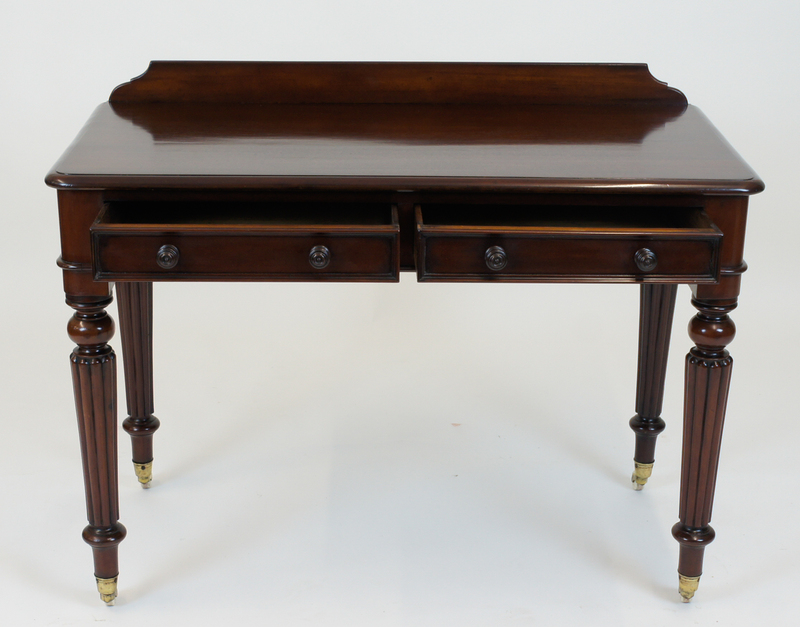 This is a very good quality, early Victorian, antique mahogany writing table or side table with a beautifully figured top. The top has rounded corners at the front and sides and a bull-nose moulded edge. and the back has a low rise edge. 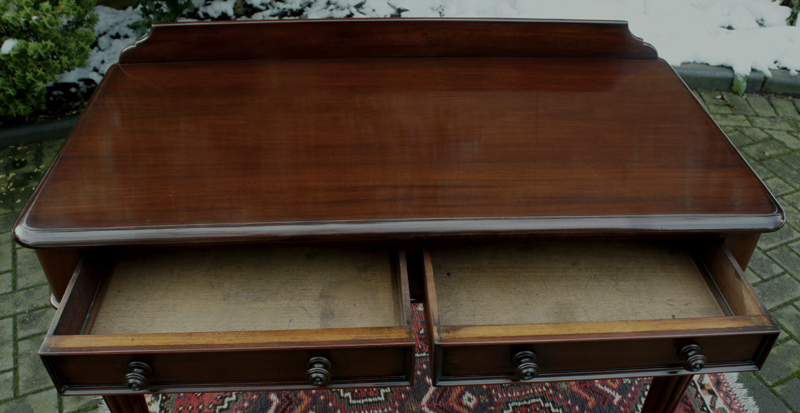 It is fitted with two mahogany lined drawers to the frieze with original turned wooden knobs and ogee moulding to the edges. 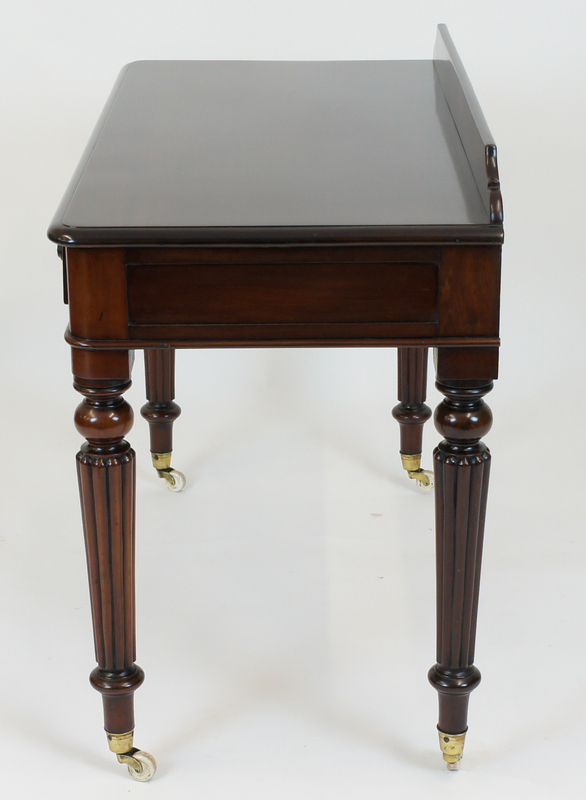 The table stands on four well turned, tapering and reeded legs with the original brass and white ceramic cup castors. 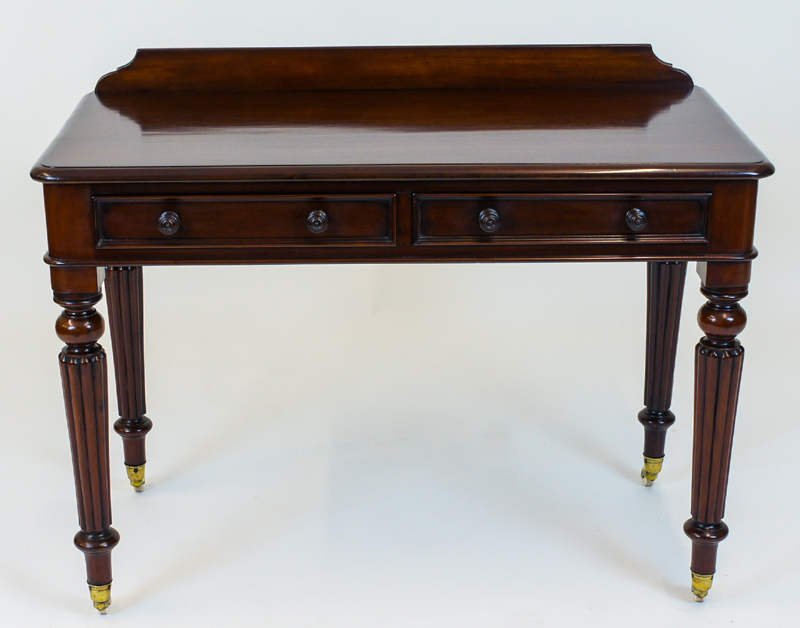 This well proportioned antique mahogany antique table is made from good quality well figured timbers and has a beautiful patina. 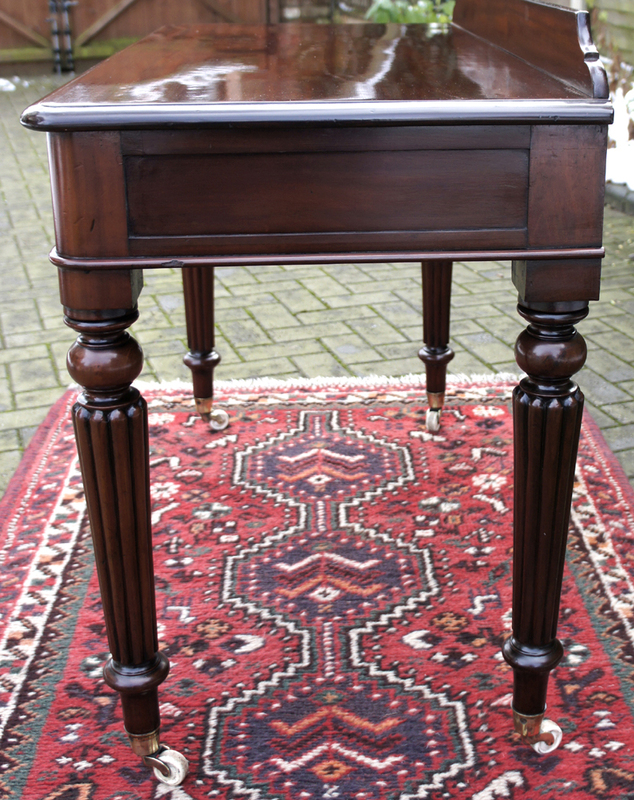 This is a very useful sized table it would be a lovely addition to any room as a small desk or occasional table.